1 chores | This Blog Rules | Why go elsewhere? Unique is the right word for this fish. 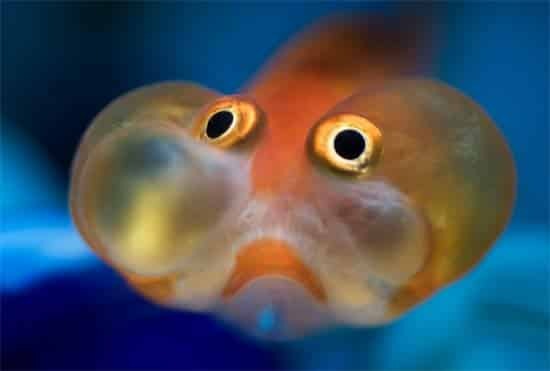 Also known as a Suihogan, the “bubble eye” goldfish has upward pointing eyes with two large fluid-filled sacs underneath them. The bubbles are extremely fragile and will pop if a sharp object punctures them; however, they’ll grow back again in the event of their undoing.